The Florida-based Quick Weight Loss Center helps you lose weight by eating foods you enjoy, along with some of the center's bars, drinks and soups. In addition, its program also requires that you take herbal supplements and stimulants. Due to potential health concerns with these types of supplements, you may be better off skipping them all together. 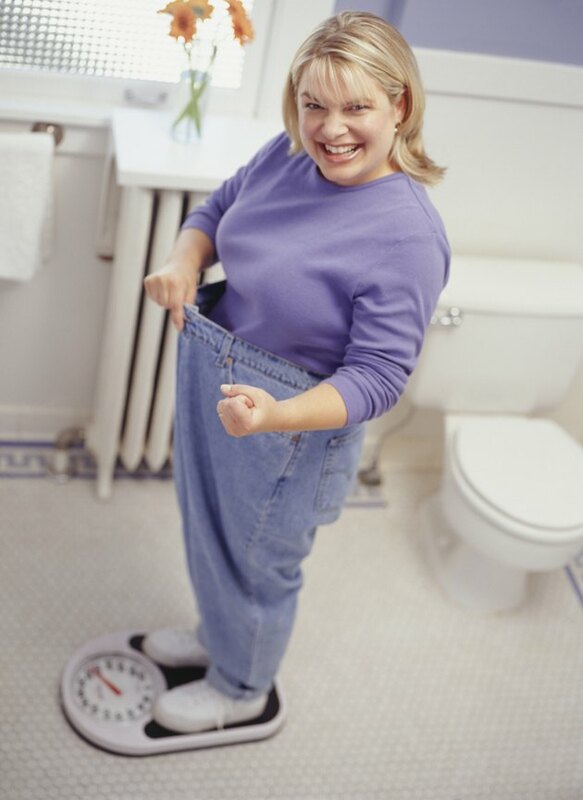 Consult your doctor before starting any weight-loss diet or adding a diet supplement to your routine. Adding green tea and cayenne to your diet may help give your metabolism a little boost on your weight-loss diet, but without any harmful side effects. A 2012 review article published in the Cochrane Database of Systematic Reviews reports that green tea produces a small, although not significant, weight loss in overweight and obese adults. Components in cayenne also have thermogenic properties that may aid in your weight-loss efforts, according to a 2008 study published in the American Journal of Clinical Nutrition. While these foods may help in your efforts, they are not a magical cure for weight loss. Drink green tea in between meals and add cayenne pepper to your meals when appropriate to get the boost. The Quick Weight Loss Center diet doesn't require exercise, but regular activity is essential for long-lasting weight loss, according to the National Weight Control Registry, which is a group of people who have lost weight and kept it off for more than a year. You should try to get 30 minutes of regular exercise five days a week. If you have a hard time finding 30 minutes to exercise, try to fit in regular activity throughout your day, such as pacing while on the phone, taking the stairs whenever you can and parking at the far end of the parking lot. It's not just the supplements that help you lose weight. The Quick Weight Loss Center also utilizes a low-calorie diet, 1,500 calories or less, according to Diets in Review. If you're feeling a little deprived on your weight-loss diet, be sure to stock your kitchen with low-cal, nutrient-rich foods to help keep you full without sabotaging your efforts. Good options include cucumbers, celery, grape tomatoes, carrot sticks, salad greens, strawberries, watermelon and clementines. It may not speed up your metabolism or help you lose weight, but when you're following a low-calorie diet, such as the one offered by Quick Weight Loss Center, you may benefit from a multivitamin supplement, according to the Academy of Nutrition and Dietetics. Stick with a simple multivitamin that provides about 100 percent of the daily value for most of the nutrients. You don't need to take heavy doses of any nutrient. In fact, high doses can cause more harm than good, according to the Arizona State University. Academy of Nutrition and Dietetics: Vitamins, Minerals and Supplements: Do You Need to Take Them? How Do Quick Weight Loss Centers Work?